Being a franchisee means you get to enjoy the freedom and flexibility of making your own business decisions and being your own boss while working towards your goals of personal and financial independence with the support of an established brand. And, when you become a franchise owner with an industry-leading brand like The UPS Store, you’re in business for yourself, not by yourself. The UPS Store offers aspiring entrepreneurs the opportunity to chase their dreams of owning and running their own business with the trusted support of an experienced national brand behind you every step of the way. What is it like to start franchising with The UPS Store? 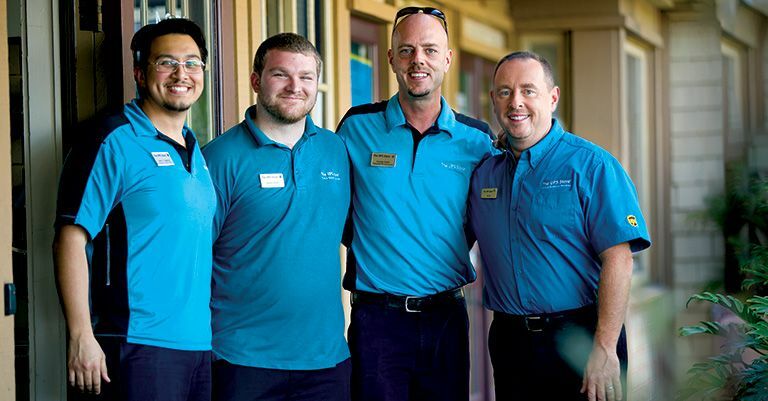 From day one when you become a franchise owner with The UPS Store, you have the backing of our experienced home staff to make sure your center is set up for success. Learn more about starting a franchise with The UPS Store. What training does The UPS Store offer for new franchisees? Learn more about our franchise training program. What are the benefits of owning a The UPS Store Franchise? Learn more about benefits of owning a The UPS Store. How much does it cost to own a The UPS Store? The price of owning a The UPS Store center varies by store type, size and location. We have different price ranges for traditional, rural and store-in-store locations that are very competitive in the franchise market. Learn more about the cost of owning a The UPS Store. What financing options does The UPS Store offer? The UPS Store offers a variety of financing options to make sure every franchise owner starts their business off on the right track. Learn more about franchise financing with The UPS Store. How to get approved to own a The UPS Store center? Learn more about our franchise approval process. Interested in owning a The UPS Store? Contact our Franchise Development team today.